you will live the culture of the mountains which is at its best in these areas where the tourism really did not change anything yet. There are some bed and breakfast and Agriturismo where you'll sleep and you will be taken care of by Italian Nonnas(Gran mothers) as in the good old days. 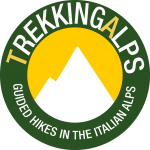 This Trek in the Italian Alps is perfect for those who want to enjoy the beauty of the Italian mountains but prefer to sleep in a comfortable single room with all the facilities. 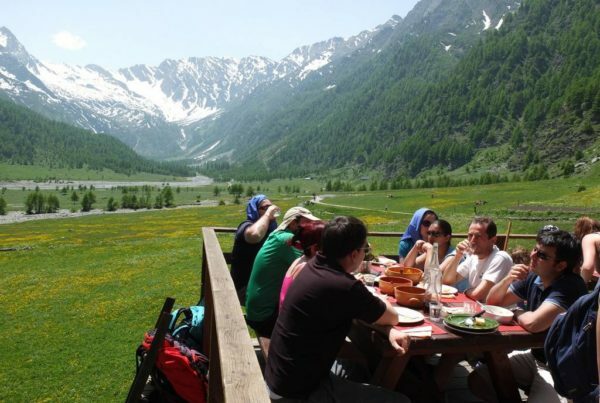 With this guided tour you can enjoy the beauty of the Alps trekking together with the amazing Italian food, a comfortable private room where to sleep and a hot shower every day. 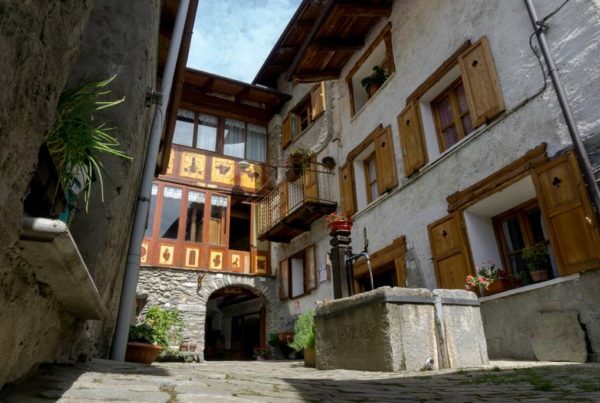 This Inn to Inn can be organized itinerant or using the agriturismo/bed and breakfast as a headquarter doing a day hike, depending if you prefer to visit different places or you prefer to not use the car and explore with calm and a single valley in the Alps near Turin. 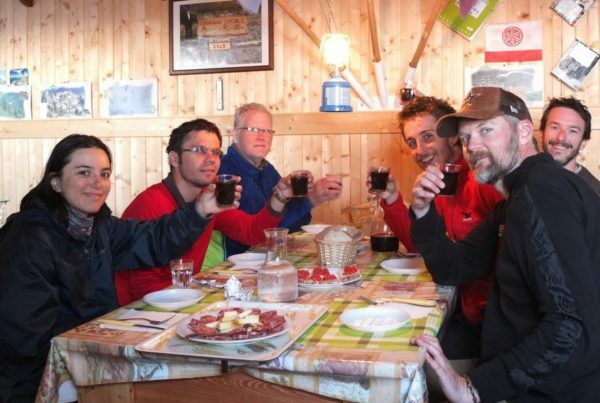 This Inn to Inn Turin Alps is not as adventurous as other hikes but much more comfortable and traditional. 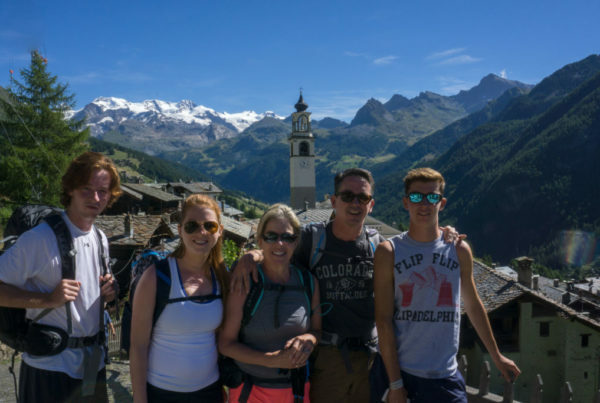 Moreover, you can still experience the hiking experience at its best as we’ll go for amazing hikes in the area which is probably the most scenic and breathtaking of all Alpine Arc. 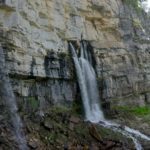 The type of daily hike we’ll do starting from our bed and breakfast or hotel can be completely different and arranged according to your needs. In one day we can reach 3000 meters peaks as well as doing easy and naturalistic tours of the neighborhood. We can choose together the best Area where to plan your hike according to the season. 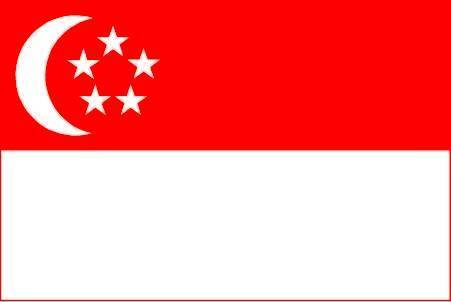 Many different adventures are waiting for you with marvelous bed and breakfasts for all tastes: hotel or cozy homestay. This flexibility is ideal and especially is very fit when the temperature are cold in the mountains and most of the shelter is closed.